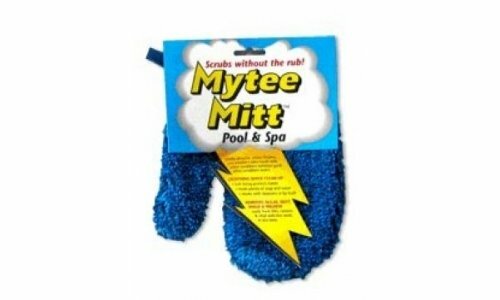 Use Mytee Mitt™ with cleansers or by itself to remove algae, rust, and dirt easily from tiles, fiberglass, cement, and vinyl with less work, in less time. Patented non-scratch cleaning bristles do the work. Thousands and thousands of these bristles act as mini-scrapers to undercut the dirt and easily lift it from the surface being cleaned. The Mitt is designed to fit your hand for fatigue free cleaning. The Mitt features a soft, anti-microbial lining.